Supplying the schools and college market with both consultancy and gym equipment, GymEquipment.co.uk has all the experience and knowledge you need. From SAQ hurdles, skipping ropes or CV equipment for Academies, Schools or Colleges, we can deliver. Gyms can be a great addition to a secondary school, university or college. With rising obesity amongst young people and more sedentary lifestyles, anything which encourages them to keep and stay fit is surely a good thing. When introduced alongside nutritional and dietary education a gym, stocked with age appropriate equipment, could help give young people a chance to lead healthier lives. Working out is also proven to help reduce stress and improve self confidence and self esteem. In addition, a gym can encourage social interaction and some equipment may even help develop team working skills. If a full scale gym is not what you are looking for then you may want to also consider up scaling your games and PE equipment so that you can continue to inspire young people to take part and enjoy their PE sessions. We can work with all sectors of education including primary, secondary or Higher. In the primary sector we can help provide you with everything you need for a new gym hall, flooring and other equipment you may need to support the PE curriculum including hoops, cones, mats and benches. In the secondary and Higher education sectors we can deliver an entire working gym, including all equipment. It is essential that we understand your school or college, how many students do you have? What sort of hours do they study? How long could they spend in the gym? From this we can design a bespoke gym that is right for your establishment. We will also need to determine whether you will allow people from outside your school or college to use the gym. Depending on the space you have it is key that the gym we develop is functional for the space you have. You don’t want your gym to look either overcrowded or simply empty. We will put together a gym design for you that properly uses the space you have. In addition we will look at the possibility of installing student changing rooms and shower facilities. Ensuring that the gym is popular and is used by students depends upon the right choice of gym equipment. Once we understand your school and needs we will select the equipment that best meets the brief. We will guide you as to the budget you will need based on your preferred gym design and will ensure that your budget is well managed. Alongside this you will receive a project management plan so that you are clear about time scales, communication and key delivery dates. We will advise you on what we believe students most want from a school/univeristy gym based on our experience in this area. 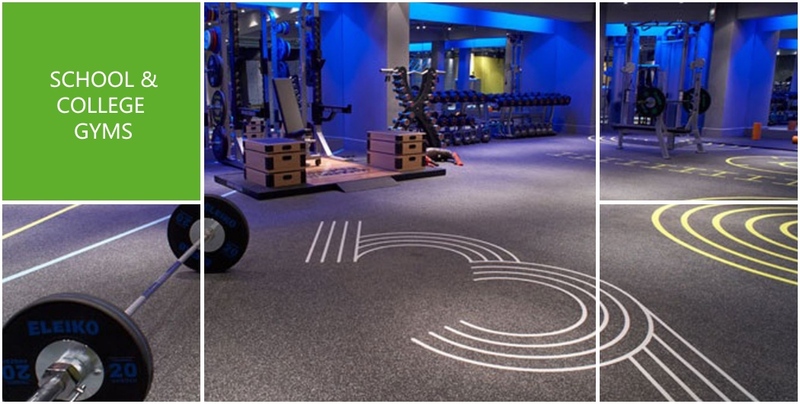 This will encompass advice on the gym equipment itself but also other aspects such as the lighting, flooring and heating of your gym and the overall creation of a stimulating gym environment. The success of this project is all about getting the design and equipment right. But we also need to ensure that your students want to use the facility and that it becomes a popular resource. What may put some students off is that some may never have used a gym before or may be unsure how to use the equipment. Our unique relationship with the NRPT, The National Register of Personal Trainers means that we can put a personal trainer into your gym at the beginning to ensure that both your teaching staff and students know how to safely use allequipment and are motivated to use the facility. Contact us on 01494 956765 today, we would love to meet with you and see how we can help develop your gym facility.